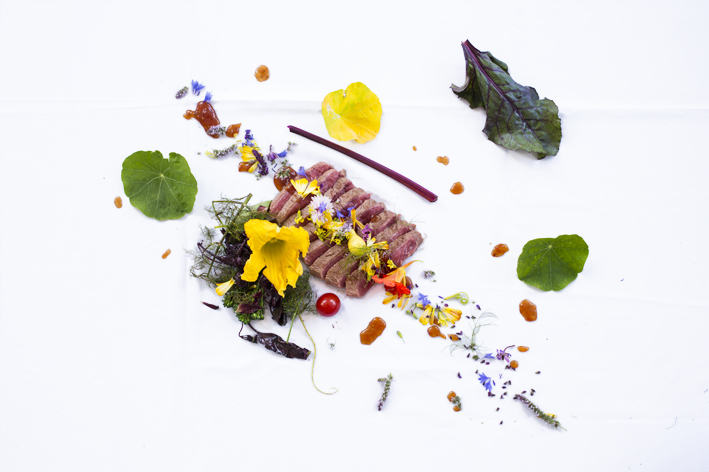 Creative Chef is specialised in dishes with edible flowers just as the example below, served during a private dinner. It is baked candied peel with a variety of flowers. Fresh and stir-fried!